In March, we published our book which I wrote together with Steef-Jan Wiggers and Johann Cooper. In this book, we describe various ways in which you can extend BizTalk, like custom pipelines, adapters, BAM, WCF Behaviors, etc. I had a blast writing this book, it was awesome to be able to work together with these two great minds and put our experiences with a great product into this book, which is free for everyone to download. In May, i attended Integrate, a must visit conference for anyone working with Microsoft’s integration technologies. Organized by BizTalk360, this was 3 days full of great sessions on integration, and discussion and socializing with the product group and fellow integrators. Make sure to be there this year as well, and come and say hi, it will be held June 26,27,28, and registrations will open soon. Also in may, I visited TUGA IT in Portugal, where I had a great time together with my friends Steef-Jan, Sandro and Nino. I love getting involved with the community, and what better way to do this then visit as much of usergroup meetings as I can. I will visit these whenever I can, either as a participant or as a speaker, and always have a blast. 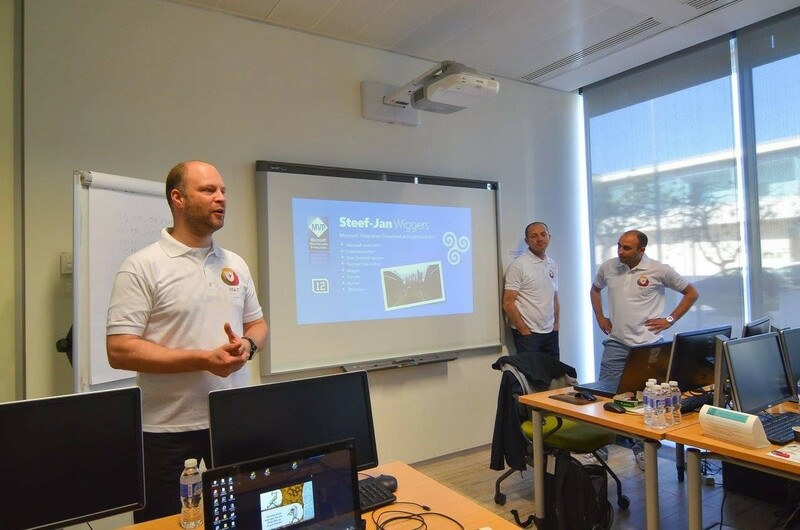 At our local user group here in the Netherlands, BTUG NL, I got to do 2 sessions this year. 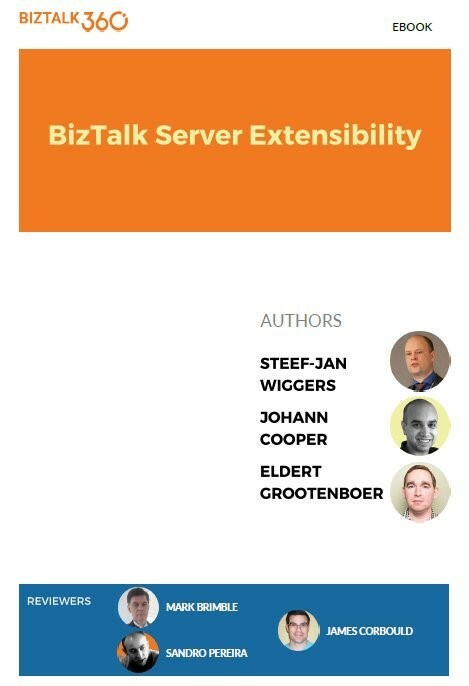 My first session was in March, which was actually a duo session together with my good friend Steef-Jan, where we talked about BizTalk Server Extensibility, of course inspired by our book. 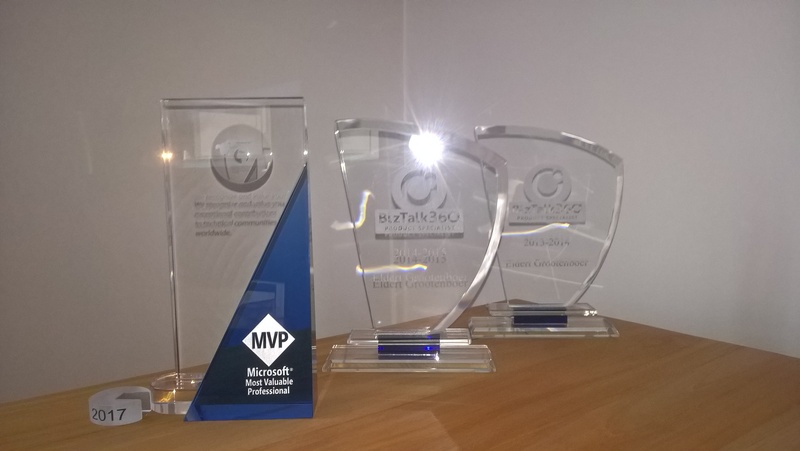 My second session was in November, this time on Hybrid Integration using BizTalk and Azure. For me this was also the year I got to speak internationally, to be precise in Sweden and Belgium. I did another duo-session with Steef-Jan in Sweden in June, both in Stockholm and Goteborg. Sweden is such a nice country, with really friendly people, and being able to speak here together with Steef-Jan was a great experience. I also try to visit our friends from Belgium at BTUG BE as often as possible. They have a great community, and I also got the chance to speak here in June, on IoT and Azure. Every Monday Michael Stephenson and Saravana Kumar bring in another speaker on Integration Monday, talking about something integration related. I got to do 2 sessions here, one in March on BizTalk Server Extensibility together with Steef-Jan, and another on IoT and Azure in September. Doing these sessions is very different, as you don’t have an audience in front of you, but I love doing these, as you get to share with a global community. The year 2017 started especially great for me, as on January 1st I received my first MVP Award. I can’t express how honored I am with this, it feels awesome to be part of such a great community. 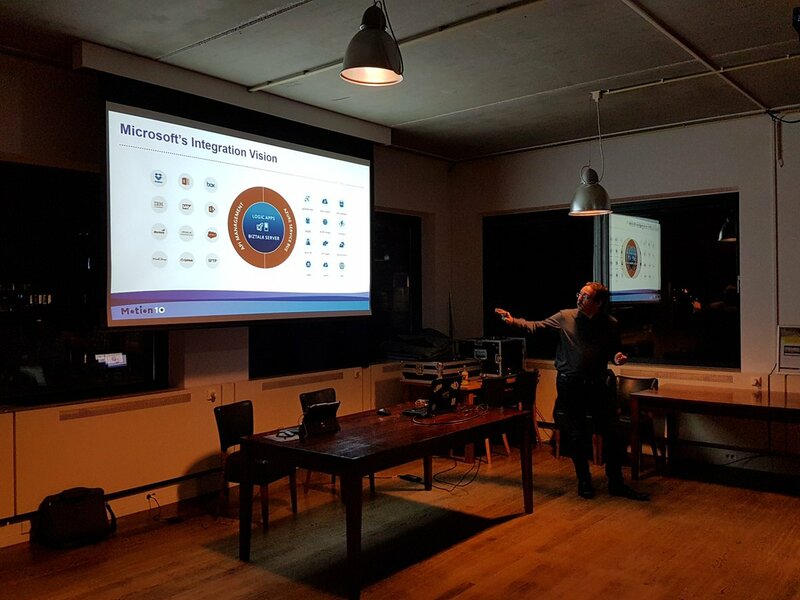 I did another session on Integration Monday in January, this time on Hybrid Integration. But it’s only the beginning of the year, and I have a lot more planned. As I already mentioned, I will be going to Integrate in June, but first I will be going to Australia in February. Here I will be meeting with Rene, Mick, Dean, Bill, Dan and many others, I will be speaking in Sydney and Melbourne, and will be attending Ignite. I am one of the organizers of the Global Integration Bootcamp which will be done in March, where communities worldwide will be spending an entire day with integration using BizTalk and Azure, and I will be speaking here myself as well. I will be back in Sweden to do another session as well, probably in April, and will also be in Portugal in May for another TUGA IT. As you can tell, this will be another great year, and I am looking forward to catch up with old friends, and meet many new friends. This entry was posted in Other and tagged 2016, 2017, looking back by Eldert Grootenboer. Bookmark the permalink.